Sing For Glenn (SFG) is an Olive Branch, MS band who enjoys music and the thrill of performing and writing it. 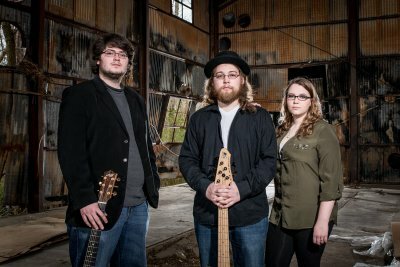 For Nick Parr (vocals and guitar), Andrew Allen (bass), Kayla Allen(vocals), and Clayton Clark (drums), Sing For Glenn is an outlet of musical creativity as they not only play a variety of cover songs from popular and established artists but also have their own original songs that are always well received by their listeners. Sing For Glenn performs a contemporary acoustic rock style that incorporates their talents, instincts, and musical influences from different artists and genres. Having performed together for years now, Sing For Glenn has a well-developed, cohesive sound and style. Nick’s voice has been described as organic, natural and unforced. As a highlighted component of their sound, the electric bass has been a featured instrument not often seen in other music acts, and Andrew’s style has been described as a rhythmic explosion. Kayla’s voice adds a distinct harmony to the group and compliments Nick’s vocals but her talent is not limited there, as she possesses the ability to take lead on songs in the Sing For Glenn catalog. Clayton provides the beat that keeps everyone in sync. Sing For Glenn’s style fits well into most venues and they look forward to bringing their sound and talent to another group of people for their entertainment.